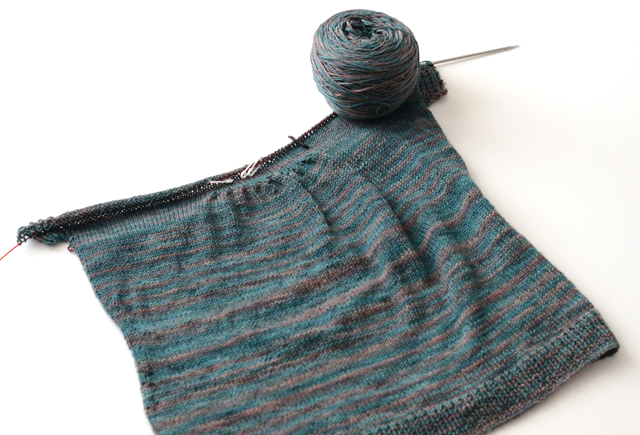 My Whispers top is coming along pretty quickly (it was just a swatch a couple of weeks ago). It is knit in the round from the bottom up, so I've knit past the underarms and finished the pleats. Maybe I can be done by next week? If you're making one too, come show us in the KAL thread! In other news, I've finally added Jupiter to my online shop. 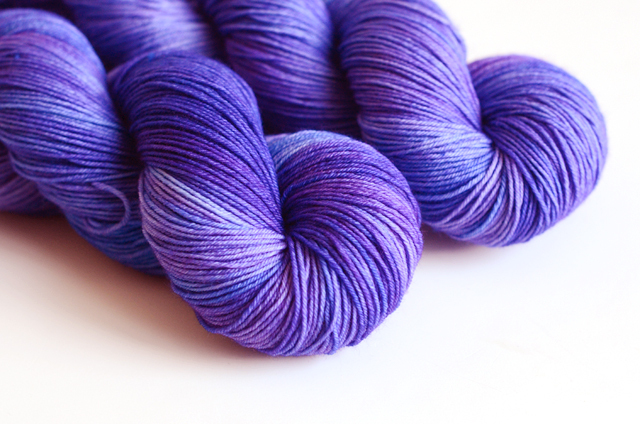 This is a lovely subtly variegated yarn, predominantly royal blue with hints of purple. I think it would make a gorgeous shawl, don't you?